The REBUG Team (Evilsperm, Cyberskunk, Habib, Joonie and Abkarino) has released REBUG 4.82.1 Cobra 7.54 LITE custom firmware for PS3 consoles along with Toolbox 2.02.15. Please consider donating for their hard work, check the official site for more info (donation link on the left). This custom firmware is based on the original firmware 4.82 release. You can find the related downloads here as usual. Thanks goes to Evilsperm for the heads up. The team behind RPCS3, an emulator designed to let you play PS3 games on a PC, have made a tonne of progress since we last checked in on the project, with the program now able to run—if not perfectly play—some of the biggest and best games on the PS3. The reasons why are of course pretty technical (though you can read them here if you want to take a look), but the end result is that Uncharted now boots and is playable, and improvements have been made to a range of games from Ratchet & Clank to God of War to LittleBigPlanet to Gran Turismo. Now, as with most emulation stories, “playable” is used only in the most literal sense. Most of these games still have huge issues, from single-digit framerates to broken shadows to texture horror shows. The point here is the progress being made, not the end result. The ability to play games like Uncharted 4, The Last Of Us and Killzone 3 is also inching forwards, with each of those games now able to at least boot to a title screen before crashing. Sony Interactive Entertainment (SIE) today announced new sales milestones for PlayStation®4 (PS4™) computer entertainment system, PlayStation®VR (PS VR) virtual reality system, and PS4 and PS VR games. •PS4 has sold through more than 70.6M units to consumers worldwide as of December 3, 2017*1. •More than 617.8 million copies*2 of PS4 games have been sold at retail stores globally and through digital downloads on PlayStation®Store as of December 3, 2017. •Based on strong momentum of PS4, PS VR sold through more than 2M units to consumers worldwide as of December 3, 2017*1. PicoDrive PS2 (2017/12/03) is released. This is a MD Emulator for PS2. PicoDrive is yet another Megadrive / Genesis / Sega CD / Mega CD / 32X / SMS emulator, which was written having ARM-based handheld devices in mind (such as smartphones and handheld consoles like GP2X and Pandora), but also runs on non-ARM little-endian hardware too. The emulator is heavily optimized for ARM, features assembly cores for 68k, Z80 and VDP chip emulation, also has dynamic recompilers for SH2 and SSP16 (for 32X and SVP emulation). It was started by Dave (aka fdave, finalburn author) as basic Genesis/Megadrive emulator for Pocket PC, then taken over and expanded by notaz. Xebra(Arbex) (2017/12/07) is released. Xebra is a progressing Japanese Playstation(PS) emulator for Win32. When playing the pad history, I modified it because I forgot to update the pointer. Adrenaline Bubble Manager v4.04 is released. This useful application allows you to make personalized bubbles with 'icon' and 'title' of your PSP content (HBS/PSX/ISO/CSO) quick and easy, using the 'LMAN' plugin, and adding the lines Of the plugin to the GAMEID in the config.txt of taihen, also creates the GAMEID.TXT for the plugin, forgetting completely of the tedious and long manual method. 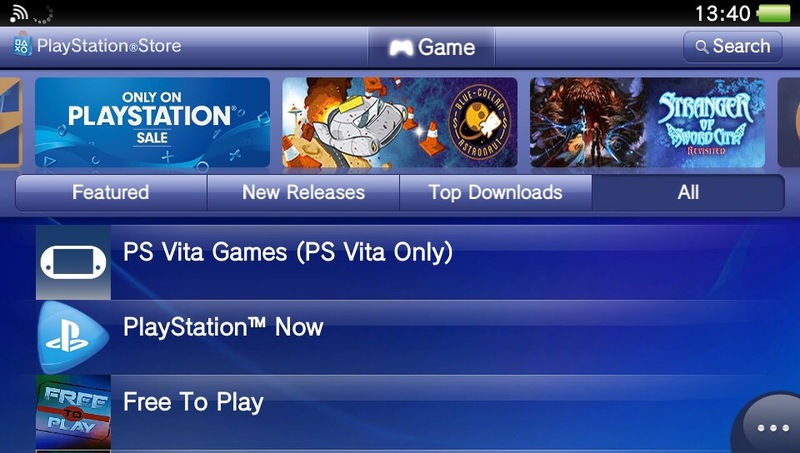 -Added japanese letters support for game titles with Sony's OSK. sdlpap is an open-source SDL port of the engine of the famous Chinese (Taiwanese) RPG called ‘The Legend of Sword and Fairy’ that also got a TV series in 2004. A few days ago ‘rsn8887’ made a modification for better image quality and then ‘usineur’, who ported sdlpap to the Vita, decided to integrate ‘rsn8887”s modification into his port. ◾Thanks to rsn8887’s modification, a sharp-bilinear shader is now always enabled in sdlpap so the image quality is improved. The sharp bilinear filter makes all pixels be the same shape so they look better. FIFA 18 mod is a modification made to FIFA 15 (the last FIFA game for the PSVita) that adds updated kits and rosters to the game. FIFA 18 mod was released back in September 2017 by Twitter user ‘@jesus_sdiaz’ but unfortunately, there isn’t a proper release post anywhere and it wasn’t well publicized so I doubt many people know about it. Now, the final version of FIFA 18 mod (that was originally released in September) got released and it’s the final version of it since the author doesn’t think he got enough support for his mod. Quite a shame really because there aren’t many people left who are dedicated enough to mod Vita games. ◾In the game, you can enable ‘AR’ mode in which the monsters are placed randomly within the field of view of your rear camera! You can either press ‘X’ or the touchscreen to catch them. ◾There are 3 monsters as of now, none of which are from Pokémon. VitaHEX doesn’t want a copyright lawsuit but maybe someone will create a hack that’ll go under the radar; the source code is open-source anyway. ◾You can also see a monster list (à la Pokedex). Uae4All2 Vita_mod v1.54 is released. Use4All2 Mod is an Amiga emulator for Vita. This is my mod of the latest Vita version of this great Amiga emulator that was ported by Cpasjuste. Depending on when you read this, this mod might be ahead or behind his version. Uae4all2 is a Amiga emulator, based on uae4all openpandora-port sources. - a button can be mapped to "slow mouse" in custom controls. When that button is held down, the mouse pointer speed is greatly reduced. This is useful for precisely positioning the cursor. Unrestricted PSN access will soon be a thing again! You won’t be able to run games that require FW 3.61 or above but you can download them. Some graphical issues were fixed in Fantastic Dizzy, Test Drive 2, Sonic 3D Blast and Subterrania when the accurate render is being used. Some FPS issues when vsync is used with PAL games were fixed. Sound issues when frequencies in NTSC games are less than 44kHZ were fixed. Upper limit for the CPU frequency was corrected. New CFW build has released for 4.82 CFW. This updated build consists of a bug fix for deleting PKG’s, Game Updates, and homebrew applications that were in COBRA 7.54. This update also includes support to download unsigned PKG from XMBPD. This release has all the features from FERROX Standard Edition CEX. There is no official changelog yet as to what firmware 5.03 does. At the time of writing, the official Sony page still mentions 5.01 as the latest firmware. Team Fail0verflow recently disclosed the details of a Kernel Exploit for firmware 4.05. There’s enough details in there for us to believe a Jailbreak on firmware 4.05 is just a matter of time. However hacker SpecterDev, publicly the dev who has made the most progress on an actual implementation of the 4.05 exploit, has been hitting a few setbacks. Allegedly, he recently mentioned on Discord that he has the jailbreak working, but that launching any game after the exploit crashes the console (while running Linux is apparently ok). Last time I informally talked with him about the 4.05 exploit, he was still working on it. TubeVita (Previously ReTube) has been released to the public for users to simply watch YouTube videos on their PlayStation Vita! The homebrew application is a rebirth of the most famous YouTube for your gaming console. The application has had a name change since the first concept release as well with some other upgrades, now it’s called TubeVita. The following games have received patches to be compatible with Vita2PC: Uncharted: Golden Abyss, Muramasa Rebirth, Ratchet and Clank 2 and Ratchet and Clank 3. The EUR (Europe) versions were tested but NA/JP version should work just fine. The PC side got support for window resolution switching (original and Vita resolution) and bilinear filtering. A new audio driver based on OpenAL got added on the PC side. This driver is more unstable than the SDL Mixer driver but it works better with some games such as DigimonStory: Cyber-Sleuth. Getting the public key was easy enough, but the private key took a bit of head scratching and Python magic. Read on if you want the keys (it will spoil the challenge)..."
Team ONElua have released Onemenu 2.03 for the PS Vita. Fixed error on text files with text adjustment scroll. Heres some great news for PSVita Homebrewers, Northfear’ has brought us all a port of the engine of Heroes of Might and Magic 2 to the Vita. Heroes of Might and Magic II is a turn-based strategy game that was released back in 1996. The game takes place after Lord Morglin Ironfist’s death and this leads to his two sons, Archibald and Roland,fighting for the crown. Eventually, Archibald manages to exile Roland by orchestrating some events against the latter. Game performance was improved so that you could enjoy a smoother experience. LPP and the RayCast3D engine were updated to their latest nightlies so that there are less bugs. You may now skip the opening credits by pressing ‘START’. When entering a seed number, you are now presented with the official Vita keyboard rather than the clunky old seed keyboard.